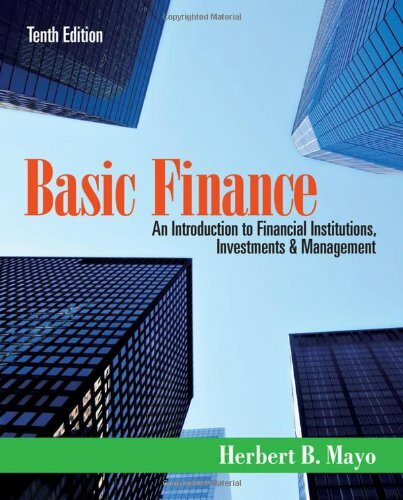 BASIC FINANCE: AN INTRODUCTION TO FINANCIAL INSTITUTIONS, INVESTMENTS & MANAGEMENT offers a proven "modular" approach to help users learn finance concepts quickly and easily. The text offers a strong finance foundation focusing on Internet resources and sample number problems, cases, and calculator solutions using a Microsoft Excel appendix. The text introduces the time value of money using three approaches to reinforce the concept--interest tables, financial calculator keystrokes, and investment analysis calculator software created specifically for the Mayo books.